Up until I was 21, I lived in my grandparents’ ancestral home. It was a late 50s/60s bungalow with huge, flower-filled gardens and enough space to accommodate four generations under one roof. While I have only a few memories of my grandparents before they passed away, living in the same rooms, sitting on the same furniture, and seeing little reminders of them every day made me feel connected to them. But it was never really my own room or home—it was someone else’s. 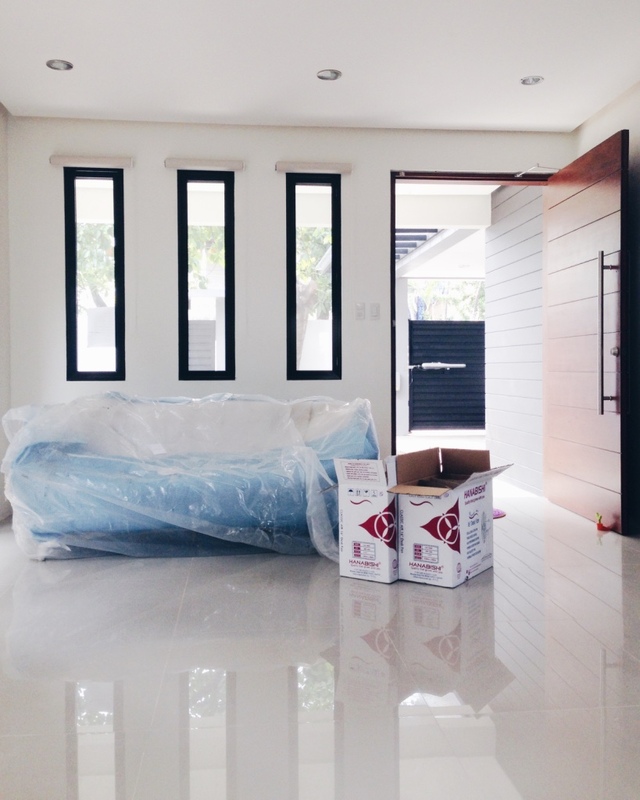 While I was in college, my parents decided to move out of the ancestral home and build a new house. It was a long and arduous process from finding a village that was safe, accessible, and had the right atmosphere, to planning the house and going through every little detail. Even I don’t remember much of the construction now! Building the house literally from the ground up was a new experience for me and my parents, but of course designing and decorating my own room was the most personal. Up until last year I slept, studied, and lived in a room occupied by countless family members before me. When I moved into my old room as a grade school student, this meant I only had control over the color of blinds and a few decorations. The walls had just been repainted blue the year before, my furniture were all hand-me-downs from my aunt, my mother, and my grandparents, and there was very little space to be creative with the arrangement. I don’t even have any photos of my old room because believe me, it wasn’t photogenic at all. I wasn’t fussy about most parts of my room especially the tiny details like how many light bulbs or the placement of drawers and shelves, but I did have a few requests. I wanted a corner window, as big as possible. My old room was dark and didn’t have much light shining in because the windows were smaller, so I was dead set on having a bright and cheery room. The one challenge: the windows couldn’t be floor-length because they’d have to add a balcony, which would be useless space for me and my family. But even so, I got my wish! When I’m in my room during the day time, my room is so bright that I only need to pull the blinds halfway up to light the whole space. 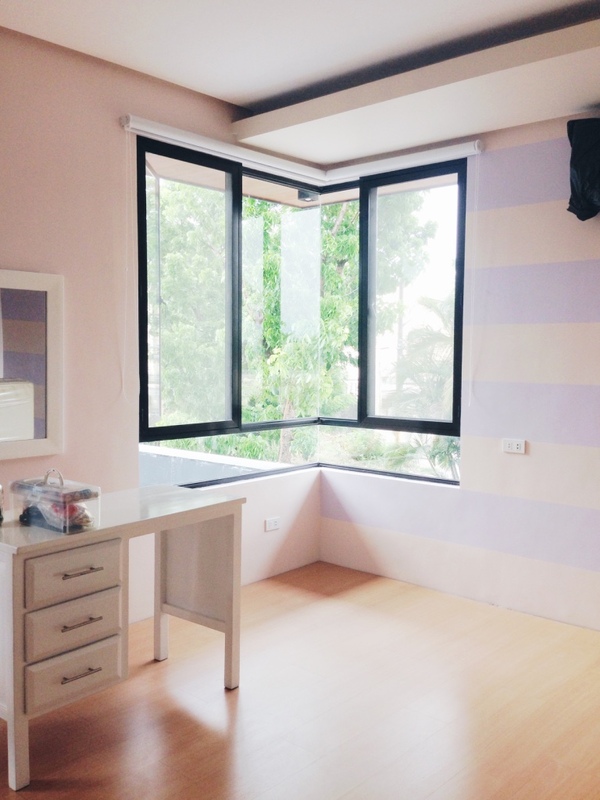 I wake up to a bright and cheery room every day, which definitely puts me in a better mood! Next, I wanted my walls to be pink and lavender. I debated against this for a while—thinking that I was 21 already, a working girl, and that maybe I should pick a more “grown-up” color scheme. But then I thought: this is the first time I get to decide on the color of my room, I should choose colors I genuinely like. 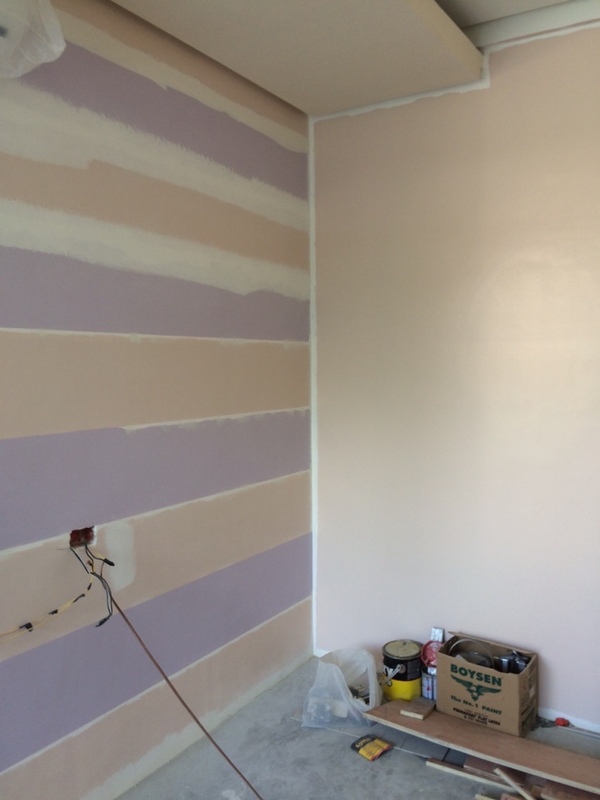 I ended up choosing a very, very light shade of pink for 3 of the walls, then a soft lavender to create a striped accent on the 4th wall. Needless to say, my accent wall is now the perfect spot for IG-worthy photos. My last design request wasn’t aesthetic but practical. A dirty, wet bathroom is one of my biggest pet peeves. As a kid I traveled and toured a lot with a children’s choir, and I’ve seen the worst of the worst when it comes to bathrooms. I can’t stand it when water from the shower stall splashes on the toilet! So this was the one thing I had to avoid in my own bathroom, no matter what. I made sure of a few things. First, no shower curtains! I think I’m in the minority when I say that I absolutely hate shower curtains. The solution? We installed a glass shower enclosure. The second solution is something I requested for all the bathrooms in our new house: the shower door and toilet should face the same direction, and the door should not, under any circumstances, open to the toilet. I’ve seen this mistake in so many bathrooms (probably in an attempt to save space) and it causes most of the dirt and splashing water. So even if the floor plan is a bit inefficient, I think it’s worth it. That’s it for the design part of the journey to a room of my own! It was fun to look back on the process and appreciate the little things that made my new room so much more comfortable and personal. I’ll be back for part 2, where I’ll share how I decorated my space once we moved in.